In New Zealand, the majority of people with gout have higher than optimal serum urate levels. A primary reason for this is a lack of understanding of what gout is and of the need for ongoing treatment. Effective communication and educating patients about their condition improves their long-term outcomes. We interviewed Leanne Te Karu, a Pharmacist Prescriber from Taupo with a special interest in managing patients with gout, about why she thinks the message is not getting through. We discuss her approach to helping increase people’s knowledge of gout, and include simple strategies to improve communication, enhance understanding and improve the health and quality of life of people with gout. However, the process of educating and engaging people with gout, as with many long-term conditions, is challenging. This article is based on an interview with gout and clinical pharmacy researcher Leanne Te Karu. Leanne has worked across many facets of the health sector including hospital, community pharmacy, academia, marae and primary care. She is a Pharmacist Prescriber based in Taupo and runs a clinic in Turangi. She was a founder of the Māori Pharmacists’ Association and has had a long-standing involvement in increasing health equality, particularly in Māori and lower socioeconomic communities. This then creates a loop, with gaps in understanding forming the basis of the further education, after an attempt to convey information. Start by asking the patient what they have been told about gout or how they would normally manage an acute attack. This can create an opportunity to ascertain what the patient knows and their level of understanding without the patient feeling like they are being tested. Once the clinician understands the level of knowledge the patient has, they can fill in any gaps, discuss incorrect beliefs and suggest practical approaches to self-management. Education should cover what gout is, the difference between acute and preventative treatments and the lifestyle aspects of gout management. As Leanne states, the final part of the conversation is ensuring that the patient has understood. This could be done by asking the patient what they will say if their partner or a family member asks them about gout and how it is treated. This forms an important part of the conversation, as information that sounds clear to a health professional will not always be clear to a patient. Helping patients to understand what gout is requires a certain level of communication skill on the part of the clinician. While this is seemingly obvious, the current level of poor management, outcomes and medicine adherence clearly indicates that there is a gap in what patients should know about gout, and what they do know. Given the wide range in levels of comprehension and literacy in patients, being able to adapt language to the individual patient is important. When talking about any health issue, patients will respond better when they perceive their healthcare professional to be understanding and understandable. A good strategy is to relate information to the patient’s background and past experiences, provide practical information and avoid jargon. Leanne stresses that cultural competency is an essential part of any attempt to improve a patient’s understanding of their health and is fundamental to the entire interaction. Gout can be easily diagnosed, prevented and treated. Clear clinical pathways have been developed that are built on robust best practice evidence. Yet there are still people with poorly controlled and managed gout. Leanne believes that engagement is the missing link. There is significant misinformation about gout in the community and many “myths” surrounding its pathogenesis, treatment and prognosis. Dietary and lifestyle changes can be difficult for patients to adhere to and understand. As Leanne states, often the known triggers of gout are relatively healthy foods, e.g. tomatoes, kaimoana (seafood) and oranges which can still be enjoyed in moderation once target serum urate has been achieved. Sometimes this can be motivation for maintaining treatment when people realise they can enjoy such foods again. In the short-term, aerobic exercise may temporarily increase serum urate levels.14 This should be carefully explained to patients to avoid discouraging them from exercising. Of course, exercise will be physically difficult or impossible for many patients during an attack due to pain and limited mobility. Explain that increased exercise between acute exacerbations will be beneficial in the long-term, particularly for those who are overweight or obese. Exercise is also beneficial in reducing the risk of developing many of the co-morbidities associated with gout, such as cardiovascular disease (CVD). Leanne has found that many patients are open to participating in organised exercise programmes, e.g. a walking or swimming group. A large number of whānau are now involved in events such as “Iron Māori”. Leanne also cautions against stereotyping as some of the people she sees are very fit young men, with low body fat percentages, playing sport at representative levels. This is another reason that we need to de-stigmatise gout so all people feel able to seek health assistance. Many patients are hesitant to take allopurinol, as there is significant misinformation about the medicine in the community. One of the more widespread objections to allopurinol is that it will worsen the symptoms of gout. This belief has likely arisen due to the increased risk of gout exacerbations in the first six months of treatment when allopurinol is dosed or titrated sub-optimally, e.g. using a starting dose of 300 mg instead of titrating up from a lower dose. Explain to the patient that allopurinol is a safe and highly effective medicine if taken consistently. It may cause flares when treatment begins, but as cover, most often colchicine or NSAIDs (e.g. naproxen) is given concurrently, these should be manageable.17 This can be used as an opportunity to explain to the patient the need for titration and the necessity of taking the medicine every day, including during gout flares. Other strategies, such as using blister packs during the titration phase, can be considered to aid patients and to reduce medication errors. If, despite optimal use of allopurinol, gout is still unable to be managed (or if allopurinol is not tolerated), further treatment options may be considered, e.g. probenicid, benzbromarone, febuxostat. This problem can be likened to an issue commonly encountered in people with asthma; regular use of a reliever medicine, but often suboptimal use of preventer medicine. 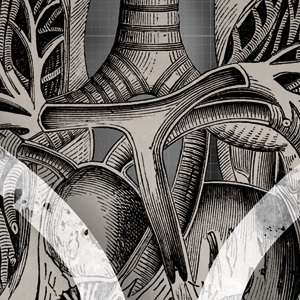 As with asthma, understanding the role of each medicine is the key. Helping patients understand what urate is, that NSAIDs only cover the symptoms and attempting to get patients actively involved in trying to lower their serum urate levels is crucial. Annual urate testing, which is necessary to monitor urate-lowering treatment efficacy and dosage, can be used to illustrate ongoing improvements in urate level and give justification for continuing allopurinol treatment. Management of patients with gout with multiple co-morbidities, such as heart failure, severe hypertension or renal damage, may require discussion with and input from a multidisciplinary team. 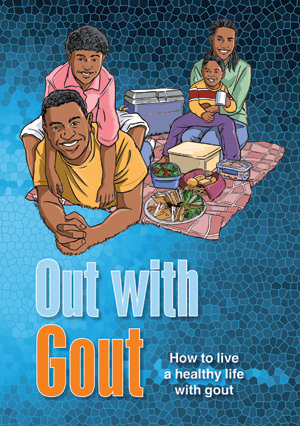 The “Out with Gout” booklet, produced by PHARMAC can be recommended, or provided, to patients as a take-home resource. The booklet is culturally relevant to New Zealanders and is available in English and Te Reo Māori and can be ordered in other languages. Health Quality & Safety Commission New Zealand (HQSC). Atlas of healthcare variation: Gout. 2014. Available from: www.hqsc.govt.nz/our-programmes/health-quality-evaluation/projects/atlas-of-healthcare-variation/gout/ (Accessed Apr. 2014). Jackson G, Wright C, Thronley S, et al. Potential unmet need for gout diagnosis and treatment: capture-recapture analysis of a national administrative dataset. Rheumatology 2012;51:1820–4. Gow P. Gout and its management - the devil is in the details. N Z Fam Pract 2005;32:261–4. Reaves E, Arroll B. Management of gout in a South Auckland general practice. J Prim Health Care 2014;6:73–8. Spencer K, Carr A, Doherty M. Patient and provider barriers to effective management of gout in general practice: A qualitative study. Ann Rheum Dis 2012;71(9):1490-5. Horsburgh S, Norris P, Becket G, et al. Allopurinol use in a New Zealand population: prevalence and adherence. Rheumatol Int 2014:[Epub ahead of print]. Te Karu L, Bryant L, Raina Elley C. Māori experiences and perception of gout and its treatment: A kaupapa Māori qualitative study. J Prim Health Care 2013;5:214–22. Dalbeth N, Petrie K, House M, et al. Illness perceptions in patients with gout and the relationship with progression of musculoskeletal disability. Arthritis Care Res 2011;63:1605–12. Medical Council of New Zealand (MCNZ). Statement on cultural competence. 2006. Available from: www.mcnz.org.nz/assets/News-and-Publications/Statements/Statement-on-cultural-competence.pdf (Accessed Apr, 2014). George R, Keenan R. Genetics of hyperuricemia and gout: Implications for the present and future. Curr Rheumatol Rep 2013;15(2):309. Hollis-Moffat J, Xu X, Dalbeth N. A role for the urate transporter SLC2A9 gene in susceptibility to gout in New Zealand Māori, Pacific Island and Caucasian case-control cohorts. Arthritis Rheum 2009;60:3485–92. Gee Teng G, Nair R, Saag K. Pathophysiology, clinical presentation and treatment of gout. Drugs 2006;66:1547–63. Shi M, Wang X, Yamanaka T, et al. Effects of anaerobic exercise and aerobic exercise on biomarkers of oxidative stress. Env Health Prev Med 2007;12:202–8. Winnard D, Wright C, Jackson G, et al. Gout, diabetes and cardiovascular disease in the Aotearoa New Zealand adult population: co-prevalence and implications for clinical practice. N Z Med J 2013;126. Sport and Recreation New Zealand. Movement equals health - A resource for health professionals. 2005. Available from: www.health.govt.nz/system/files/documents/pages/movement-equals-health.pdf (Accessed Apr, 2014). Zhang W, Doherty M, Bardin T, et al. EULAR evidence based recommendations for gout. Part II: Management. Report of a task force of the EULAR Standing Committee for International Clinical Studies including Therapeutics (ESCISIT). Ann Rheum Dis 2006;65:1312–24. Angus Wong said: 2/05/2014 4:04:13 p.m.